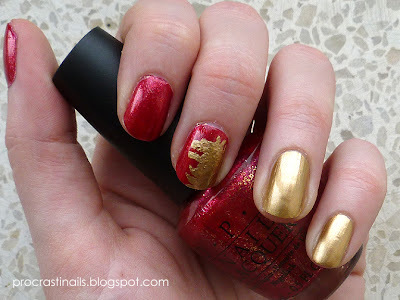 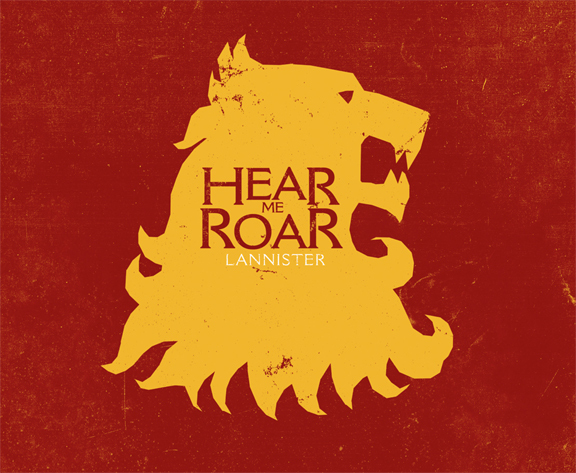 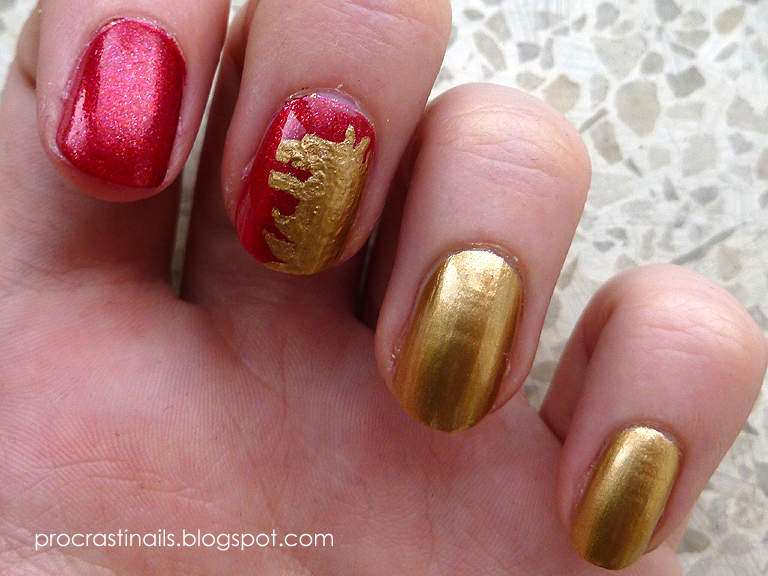 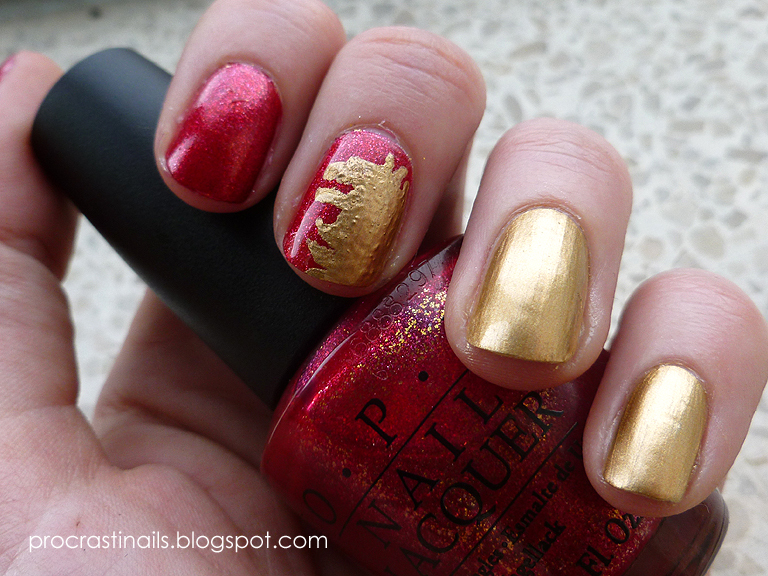 I think it's pretty obvious, but I used the lion design from HBO's Lannister sigil. 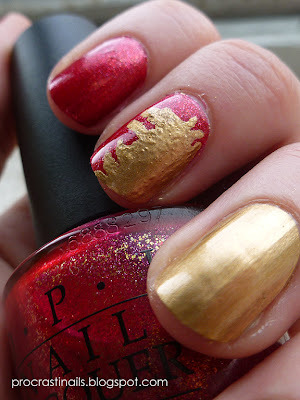 So I forgot to take a pic of the colours, but you can see how gorgeous the red (OPI's Crimson Carol) is in the pics I've included. The gold I used was my standard Bold Gold from Maybelline New York Colour Show.